In two games, the Fil-German has been norming 23 points, 7.5 rebounds, and 4.0 assists. So far, he has been one of the Beermen’s consistent performers, a sign that he has recuperated from a knee injury that kept him in storage in the early stages of the conference. During game one, most would say that he got his numbers because the game was well out of reach. Regardless, his relentless nature was something to admire even if SMB was blown out by Barangay Ginebra in game one, 127-99. He ended the night with 26 points, eight rebounds, three assists and a steal. 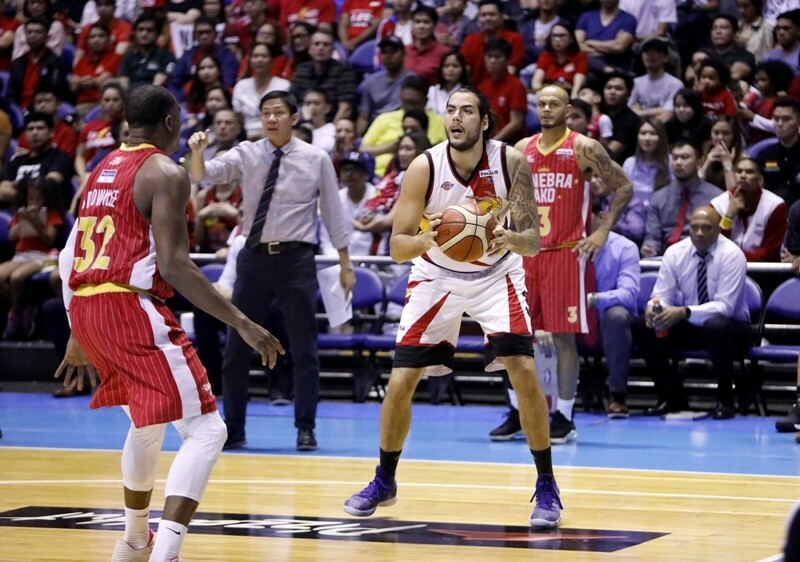 To prove that his game one performance was no fluke, Standhardinger quietly contributed to the cause of the Beermen in game 2. He had 20 points, seven rebounds and five assists, one that included a nifty behind the back pass to teammate Renaldo Balkman for an uncontested slam. Standhardinger believes that the stellar showing is because he has now been getting extended minutes. Since he joined the SMB fray, he understood that he was not expected to score heavily with the team loaded with players who can explode at any given time. And from the looks of it, the Fil-German is peaking at the right time and finally realizes the things he can do to fit in with the mighty Beermen. As for the trades, all talk about it should die down completely soon. And even if there was one happening, the Beermen are likely to ask for the stars seeing the impact a Christian Standhardinger can give to any PBA club. With those distractions behind, C-Stand is expected to stay the course and help in any way for the Beermen – not only this conference but for succeeding ones. This includes a possible PBA Grand Slam, one that he eluded the SMB franchise the past years.